newsroom24x7 is presenting a new dimension of news. We are constantly meeting the goal of hosting Indian conversation today and in future. Newsroom24x7.com is always on-the-dot with news and in-depth analysis. Lalit Shastri heads newsroom24x7.com as Editor-in-Chief. He is a livewire journalist with over 30 years of experience in mainstream print-media. As Editor and Special Correspondent with leading media groups, he has witnessed the dynamics of politics, versatility of Indian democracy and the most minute aspects of governance from close range. His commitment to journalism as a means to empower people by keeping them informed is recognised by everyone concerned. During his 35 year long journalistic journey, Sunder got the opportunity to get a ring side view of political, social and economic developments at the national and global levels. He has covered a range of beats from the strategic areas of space and nuclear energy to Health, Environment, Housing and Urban Development. At the national bureau in Delhi, his ‘beats’ pertained to reporting various Union ministries. Sunder has been with the national bureau of The Hindu at Delhi as a Special Correspondent. In 2014, he opted to move to Bhopal and was appointed as Deputy Editor in charge of Madhya Pradesh. Sunder, who did his M Sc in Organic Chemistry from St Stephens College, Delhi University, has an active presence online on Twitter and Facebook. 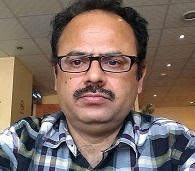 Senior Columnist, Shitanshu Shekhar Shukla has worked with several media houses since 1997. He was Editor (Edit page) with The Gulf Time (UAE) till 2014. Newsroom24x7 Correspondent Anusha Narain is an Oxford Graduate with seven years of work experience. 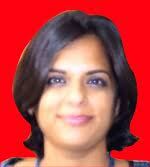 She has worked for national dailies such as The Hindu, The Times of India and Dainik Bhaskar. She likes to write about environment, social and animal welfare issues.